I'm a sucker for a prettily packaged tea, and I saw a new one at T.J. Maxx the other day that was just irresistible for a number of reasons, but largely because it was English Rose flavor! I love the way the box is clasped, and since I've enjoyed the relatively few Whittard of Chelsea teas I've tried, I felt pretty confident in giving this one a try, especially for just $3.99 for 25 tea bags. It's always a plus with me when tea bags are individually packaged, as these are. The great thing about this tea, however, was its smooth, light rose flavor! I've heard complaints that rose-flavored teas are too perfumey for some tea drinkers, and I get that. 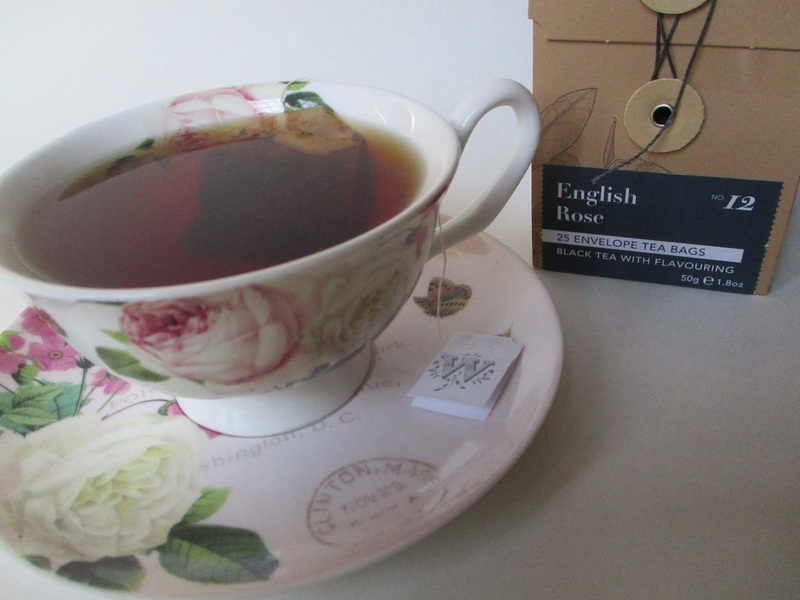 But this one was much more "black tea" than "rose," and the lovely combination is one I will happily look for again. 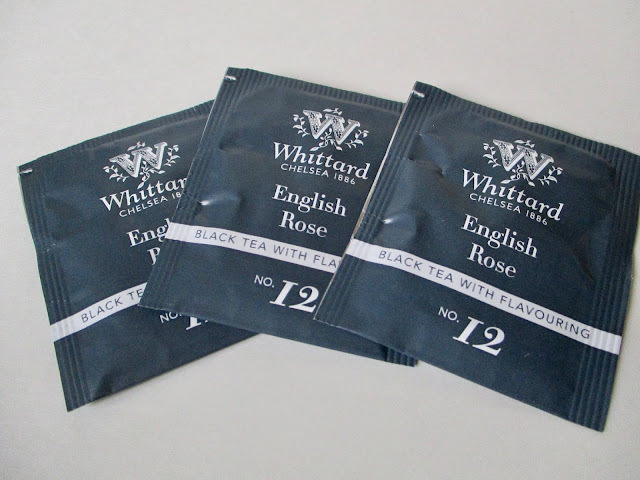 I'm just curious, though … would you/do you drink rose-flavored tea? I'm wondering whether I'm in the minority in liking this tea! I am not sure I've ever tried rose-flavored tea, but I surely would be willing to try it. It sounds delightful! Don't you love finding interesting teas at TJ Maxx? Love rose tea, will have to look for that one here. I do love rose flavored teas. The one in the Downton Abbey series from Republic of Tea was very good. I don't remember the exact name, but it was the one with the three sisters on it. That really is an interestingly-packaged tea. I've never tried rose-flavored black tea, but I would give it a try. I’ve enjoyed a green rose tea in the past. 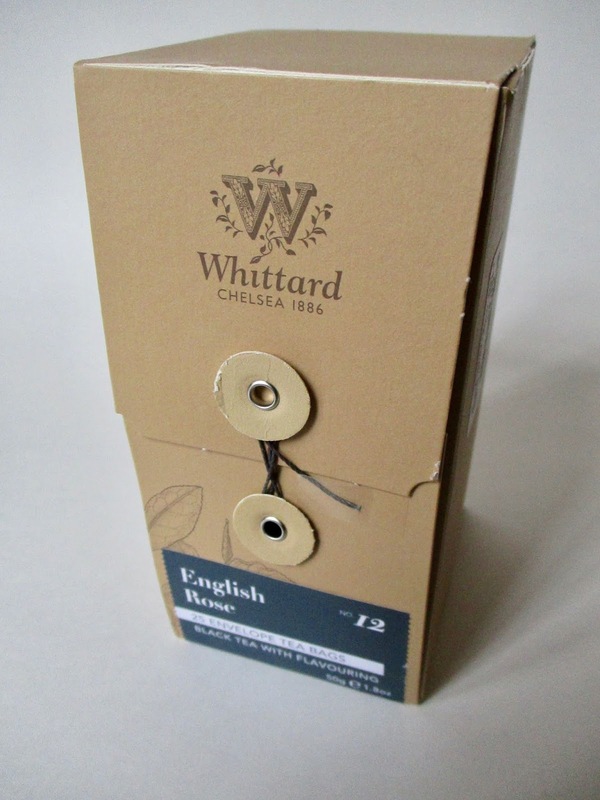 The clasp on your box is a nice design. I need to go look for this. I need 25 teabags for a give away at our tea festival this summer and with roses it would be perfect.